New research challenges the prevailing theory that the unique nature of Earth’s iron was the result of how its core was formed billions of years ago. The study opens the door to competing theories about why levels of certain heavy forms of iron, known as isotopes, are higher on Earth than in other bodies in the solar system. The prevailing view attributes the Earth’s anomalous iron composition to the formation of the planet’s core. 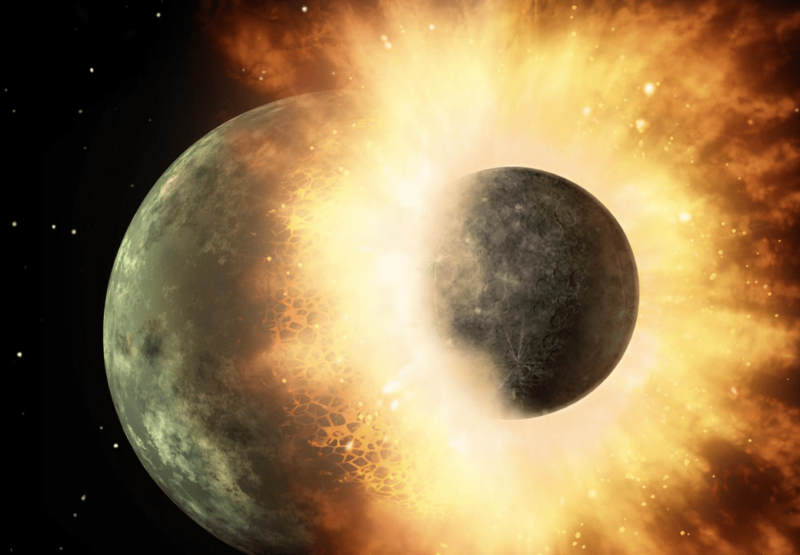 But the study published Feb. 20 in Nature Communications suggests that the peculiar iron’s isotopic signature developed later in Earth’s history, possibly created by a collision between Earth and another planetary body that vaporized the lighter iron isotopes, or the churning of Earth’s mantle, drawing a disproportionate amount of heavy iron isotopes to Earth’s crust from its mantle. Iron is one of the most abundant elements in the solar system, and understanding it is key to figuring out how Earth and other celestial bodies formed. The researchers compared the ratio of the heavier iron isotope Fe-56 to the lighter Fe-54 for Earth and extraterrestrial rocks, including those from the moon, Mars and ancient meteorites. They found that the ratio is significantly higher for Earth rocks than for extraterrestrial rocks, all of which have an identical ratio. Their research attempts to explain how that happened. The authors recreated the high pressure that characterized the conditions on Earth during the formation of its core. To do this, the researchers used a diamond anvil cell–a device capable of recreating pressures that exist deep inside planets–and were able to synthesize processes that would not be discernible otherwise. The experiment sought to show that the high levels of heavy iron isotopes in Earth’s mantle likely occurred during the formation of Earth’s core. But the measurements show that it does not work, “so the solution to this mystery must be sought elsewhere,” Dauphas said. More research is needed to understand the core’s formation and the reasons for Earth’s unique iron isotopic signature.